Maximize resource utilization and improve user experiences for faster time to results and better outcomes. → Try before you buy. Explore IBM Spectrum Computing free trials and Community Edition software. 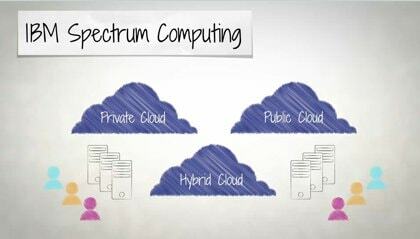 IBM Spectrum Computing uses intelligent workload and policy-driven resource management to optimize computing clusters across the data center, on premises and in the cloud. Increase ROI and reduce total cost of ownership with a complete system and enterprise support from IBM. Get your data scientists working as quickly as possible with end-to-end software for quickly building machine learning and deep learning models. Enable hundreds of concurrent users to run millions of jobs on thousands of nodes with little to no unplanned downtime. Be productive faster and with less training through automation and simplified user interfaces. Quickly put deep learning to work with an easy-to-install add-on to IBM Spectrum Conductor that provides an advanced AI environment and faster neural network model training. 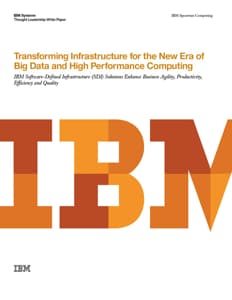 Accelerate the journey from ingest to inference with elastic distributed training and hyperparameter search and optimization, running on IBM Power System servers that can speed performance as much as 50x. Share clusters and accelerate modern, distributed workloads up to 58% including Spark analytics, AI frameworks and containers. Confidently deploy Spark and other services in a multitenant environment, both on-premises and in the cloud. Supercharge analytics with a low-latency, high throughput SDI that delivers 700x greater scalability and 100x faster results. Benefit from enterprise-class management for running compute- and data-intensive distributed applications on a scalable, shared grid. Accelerate research, design, and other high-performance simulations by up to 30% with comprehensive workload management. 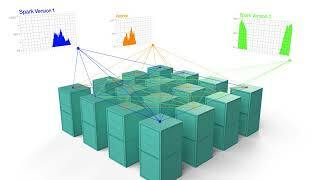 Simplifies HPC with an enhanced user and administrator experience, reliability, and performance at scale. Gain a support team of exceptional people who put the customer first, provide timely resolution of issues, and share resources throughout IBM to improve your experience. Get the latest product updates and software releases, from small fixes specific to your environment to major new releases with new version numbers. Speed time to resolution with direct access to IBM Spectrum Computing technical professionals instead of call center representatives. Join our culture of high customer satisfaction. Survey results show our scores far outpace software industry averages. Access our industry-leading online tools offering knowledge, real-time support request management, documentation and manuals. 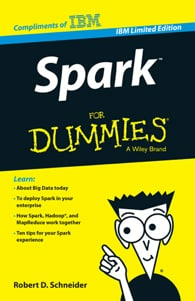 Learn about the state of big data today, and how Spark helps simplify and streamline data interaction. Find out how a software-defined infrastructure enhances business agility, productivity, efficiency and quality. See how optimized computing clusters speed results and make it easier for you to manage and scale your operations. Discover the benefits of cloud computing in technical and HPC environments, including analytics and Hadoop workloads.